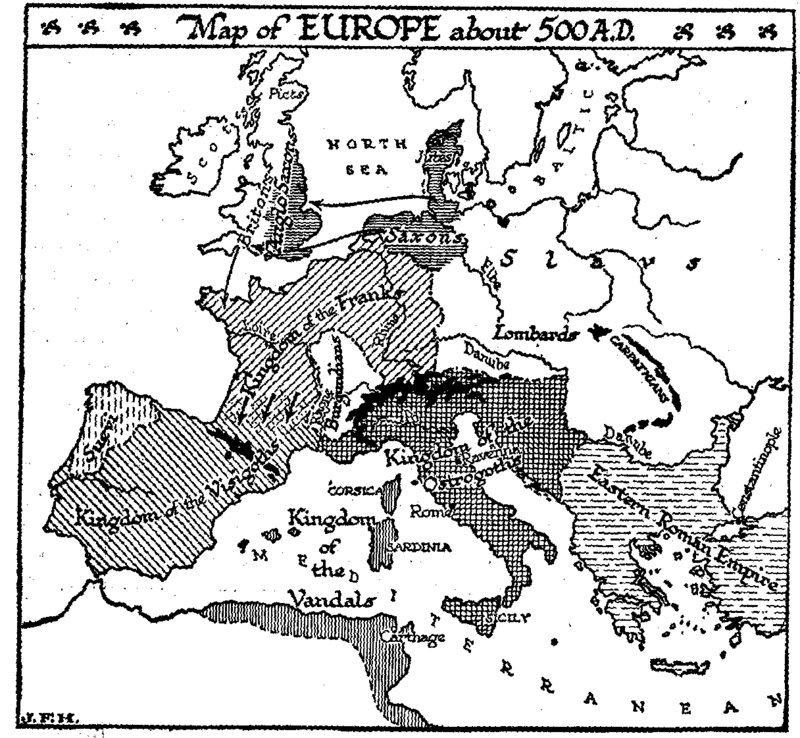 Figure 529: Map of Europe about 500 A.D.
We have already given an account in the previous chapter of the chief irruptions of the barbarian races. We may now, with the help of a map, make a brief review of the political divisions of Europe at the close of the fifth century. No vestige of the Western Empire, the original Roman Empire, remained as a distinct and separate political division. Politically it was completely broken up. Over many parts of Europe a sort of legendary overlordship of the Hellenic Eastern Empire as the Empire held its place in men’s minds. The emperor at Constantinople was, in theory at least, still emperor. In Britain, the quite barbaric Teutonic Angles, Saxons and Jutes had conquered the eastern half of England; in the west of the island the Britons still held out, but were gradually being forced back into Wales and Cornwall. The Anglo-Saxons seem to have been among the most ruthless and effective of barbarian conquerors, for, wherever they prevailed, their language completely replaced the Keltic or Latin speech–it is not certain which–used by the British. These Anglo-Saxons were as yet not Christianized. Most of Gaul, Holland, and the Rhineland was under the fairly vigorous, Christianized, and much more civilized kingdom of the Franks. But the Rhone valley was under the separate kingdom of the Burgundians. Spain and some of the south of France were under the rule of the Visigoths, but the Suevi were in possession of the north-west corner of the peninsula. Of the Vandal kingdom in Africa we have already written; and Italy, still in its population and habits Roman, came under the rule of the Ostrogoths. There was no emperor left in Rome; Theodoric I ruled there as the first of a line of Gothic kings, and his rule extended across the Alps into Pannonia and down the Adriatic to Dalmatia and Serbia. To the east of the Gothic kingdom the emperors of Constantinople ruled definitely. The Bulgars were still at this time a Mongolian tribe of horse-riding nomads in the region of the Volga; the Aryan Serbs had recently come southward to the shores of the Black Sea into the original home of the Visigoths; the Turko-Finnish Magyars were not yet in Europe. The Lombards were as yet north of the Danube. The sixth century was marked by a phase of vigour on the part of the Eastern Empire under the Emperor Justinian (527- 565). The Vandal kingdom was recovered in 534; the Goths were expelled from Italy in 553. So soon as Justinian was dead (565), the Lombards descended into Italy and settled in Lombardy, but they left Ravenna, Rome, Southern Italy, and North Africa under the rule of the Eastern Empire. Such was the political condition of the world in which the idea of Christendom developed. The daily life of that time was going on at a very low level indeed physically, intellectually, and morally. It is frequently said that Europe in the sixth and seventh centuries relapsed into barbarism, but that does not express the reality of the case. It is far more correct to say that the civilization of the Roman Empire had passed into a phase of extreme demoralization. Barbarism is a social order of an elementary type, orderly within its limits; but the state of Europe beneath its political fragmentation was a social disorder. Its morale was not that of a kraal, but that of a slum. In a savage kraal a savage knows that he belongs to a community, and lives and acts accordingly; in a slum, the individual neither knows of nor acts in relation to any greater being. Only very slowly and weakly did Christianity restore that lost sense of community and teach men to rally about the idea of Christendom. The social and economic structure of the Roman Empire was in ruins. That civilization had been a civilization of wealth and political power sustained by the limitation and slavery of the great mass of mankind. It had presented a spectacle of outward splendour and luxurious refinement, but beneath that brave outward show were cruelty, stupidity, and stagnation. It had to break down; it had to be removed before anything better could replace it. We have already called attention to its intellectual deadness. For three centuries it had produced neither science nor literature of any importance. It is only where men are to be found neither too rich and powerful to be tempted into extravagant indulgences nor too poor and limited to care for anything beyond the daily need that those disinterested curiosities and serene impulses can have play that give sane philosophy and science and great art to the world, and the plutocracy of Rome had made such a class impossible. When men and women are unlimited and unrestrained, the evidence of history shows clearly that they are all liable to become monsters of self-indulgence; when, on the other hand, they are driven and unhappy, then their impulse is towards immoderate tragical resorts, towards wild revolts or towards the austerities and intensities of religion. It is not perhaps true to say that the world became miserable in these «dark ages» to which we have now come; much nearer the truth is it to say that the violent and vulgar fraud of Roman imperialism, that world of politicians, adventurers, landowners and financiers, collapsed into a sea of misery that was already there. Our histories of these times are very imperfect: there were few places where men could write, and little encouragement to write at all; no one was sure even of the safety of his manuscript or the possibility of its being read. But we know enough to tell that this age was an age not merely of war and robbery, but of famine and pestilence. No effective sanitary organization had yet come into the world, and the migrations of the time must have destroyed whatever hygienic balance had been established. Attila’s ravages in North Italy were checked by an outbreak of fever in 452. There was a great epidemic of bubonic plague towards the end of the reign of Justinian (565) which did much to weaken the defence of Italy against the Lombards. In 543 ten thousand people had died in one day in Constantinople. (Gibbon says «each day».) Plague was raging in Rome in 590. The seventh century was also a plague-stricken century. The Englishman Bede, one of the few writers of the time, records pestilences in England in 664, 672, 678, and 693, no fewer than four in twenty years! Gibbon couples the Justinian epidemic with the great comet of 531, and with the very frequent and serious earthquakes of that reign. «Many cities of the east were left vacant, and in several districts of Italy the harvest and the vintage withered on the ground. He alleges «a visible decrease of the human species which has never been made good in some of the fairest countries of the globe». To many in those dark days it seemed that all learning and all that made life seemly and desirable was perishing. How far the common lot was unhappier under these conditions of squalor and insecurity than it had been under the grinding order of the imperial system it is impossible to say. There was possibly much local variation, the rule of violent bullies here and a good-tempered freedom there, famine this year and plenty the next. If robbers abounded, tax-gatherers and creditors had disappeared. Such kings as those of the Frankish and Gothic kingdoms were really phantom rulers to most of their so-called subjects; the life of each district went on at a low level, with little trade or travel. Greater or lesser areas of countryside would be dominated by some able person, claiming with more or less justice the title of lord or count or duke from the tradition of the later empire or from the king. Such local nobles would assemble bands of retainers and build themselves strongholds. Often, they adapted pre-existing buildings. The Colosseum at Rome, for example, the arena of many great gladiatorial shows, was converted into a fortress, and so was the amphitheatre at Arles. So also was the great tomb of Hadrian at Rome. In the decaying And now insanitary towns and cities shrunken bodies of artisans would hold together and serve the needs of the cultivating villages about them by their industry, placing themselves under the protection of some adjacent noble.